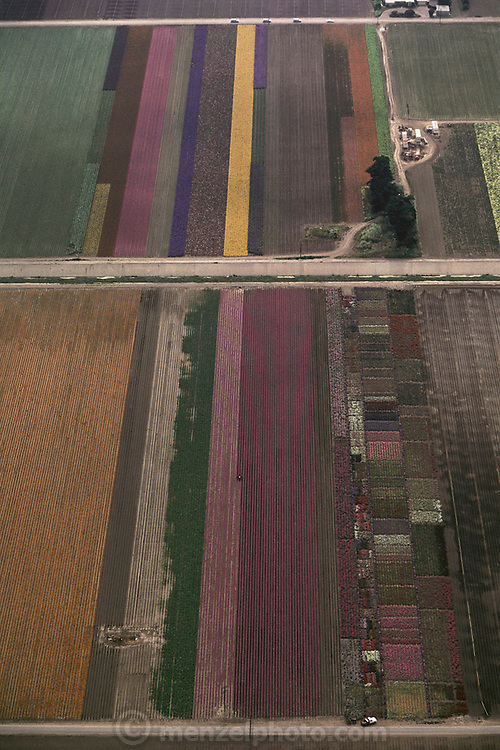 Aerial photograph of fields of flowers grown for seed in Lompoc, California. Today, some of the fields in Lompoc have been converted to wine grape production. Agriculture rows plants flora variety green purple pink orange yellow flower beds dirt roads farming overhead vertical patchwork quilts.